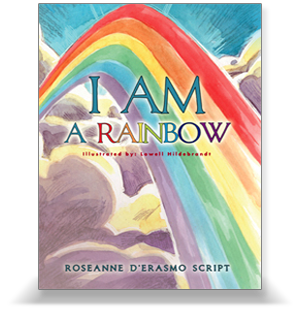 As an author Roseanne D’Erasmo Script produces books for families and those new to energy healing for easy access to chakra, meditation and energy healing information. Her books are available through www.authorhouse.com and local book stores throughout Western NY. These books are designed as a shared text for children and parents as well as anyone interested in the field of energy work and learning about chakras or energy centers, meditation and healing energies. 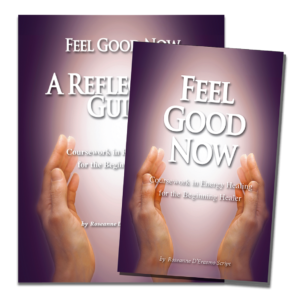 ‘Feel Good Now’ is coursework in energy healing for the beginning healer, complete with a reflection guide leading you through poignant questions about your chakras, meditation, and your own energy work. It presents an explanation of energy systems, practice meditations and different beginning healing techniques, within a simple format and reflection guide to facilitate shared discussion. This book explores the energy system within us and around us. This book is recommended as a parent/child or teacher/student shared text. It presents an explanation of the energy system, or chakras, within a simple format to facilitate shared discussion. The Master Teacher leads characters Joey and Marissa on a color journey beginning in the West as the sun sets. They are guided Eastward toward the light of a new day, experiencing gardens of color. As they travel through the gardens, the children learn to connect with their seven major energy centers assisted by the Master. This book is second in the trilogy, and creates a window into the world of our own energy within. Parents, children and those new to meditation and chakras will connect with this message. It brings the world of meditation to the reader through the eyes of Joey and Marissa and the wisdom of their teacher. Designed for anyone from ages 9-99 and as shared text for adults and children, this book makes meditation easy with authentic examples of fun and useful techniques to help you become attuned to your own inner being. Well-researched, explicit methods and delightful, beautiful images float in your head as you learn the art of quieting your mind. Enlightening and practical applications will make meditation become a reality in your life. 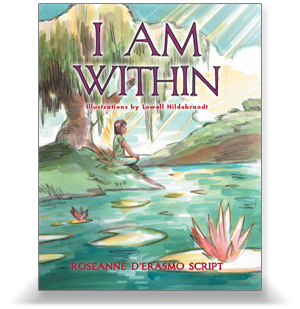 In the final book of her Healing Trilogy, author, educator and energy healer Roseanne D’Erasmo Script continues the story of Joey and Marissa’s exciting life journey into wisdom. In I AM Healer, the children enter the garden of color for a stimulating discussion of how illness truly impacts the body, mind, and spirit. They ask their teacher to show them how they might begin to experience energy healing, so they can feel better and more balanced. The teacher models the skills of practiced breathing, centering, intention-setting, energy activation, and healing hand movements. As they learn, they practice on each other and delight in their newfound abilities. 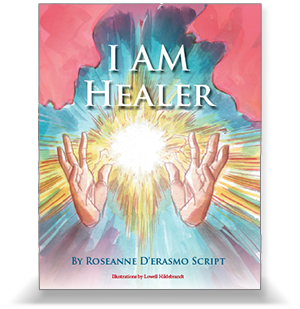 I AM Healer is perfect for beginning students of any age. Written for people who want to learn about energetic healing, it can be used as a guide for those new to energy healing or as a shared text for families. I AM Healer awakens your own healer within. Copyright © 2019 Buffalo Healing Therapies. Web Services Provided by kdynamics.net.